Product is made of wooden sticks covered with colorful cloth and decorated with different materials. It is used in engagement ceremony. 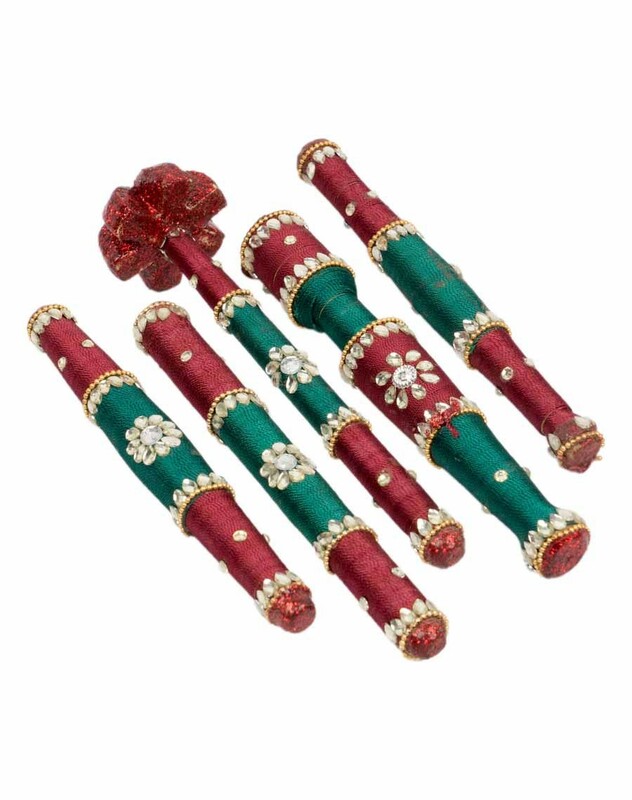 Pokhana is used during Hindu weddings. It is part of the Groom's welcoming ceremony. The bride's mother welcomes the groom and advises him about marriage. She then hands over items to the groom. These Pokhanas are colourfully decorated to attract the attention of the guests. Add a colourful twist to your wedding.